European Conservatives and Reformists (ECR) will not only survive the loss of their UK MEPs this year, but hope to be even stronger after the European elections in May, Jan Zahradil, the ECR’s Spitzenkandidat, said during a debate organised by the Union of European Federalists (UEF) in Brussels last week. “Taking into account that the EPP is going to lose a little, S&D is probably going to lose dramatically, and no one knows what it going to happen with ALDE as the honeymoon with Mr Macron is getting cold – I am quite optimistic that we can continue not only as the ECR but that we can be in a more decisive position after the elections than we are now,” Zahradil told an audience in Brussels. But he dismissed rumours that Hungary’s ruling Fidesz party might eventually join in the formation of a new political movement, which would also incorporate ECR, after the May election. “I am pretty sure that Mr Orban is happy where he is as he has such strong backing from Germany nowadays. Whatever happens, he has absolutely no reason to change his affiliation”. Hungary is currently facing proceedings for breaches of the rule of law, just like Poland, whose ruling PiS party is a member of ECR. With 76 MEPs, the ECR is currently the third largest political group in the European Parliament. But its future after the European elections is uncertain, as it will lose its UK MEPs after Brexit. 18 of the ECR’s current MEPs are UK Tories, the second largest national group being Poland, with 15 MEPs from Jarosław Kaczyński’s Law and Justice (PiS) party. 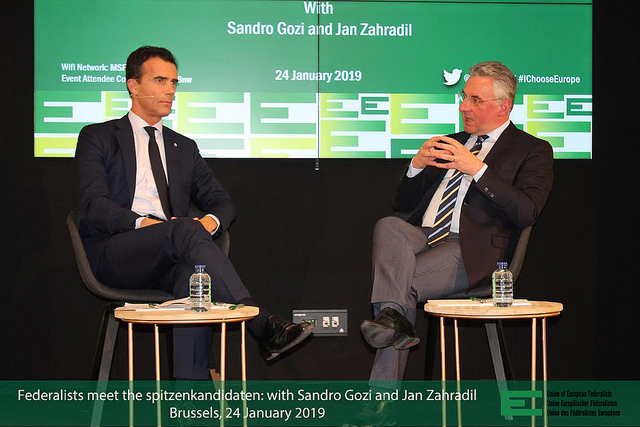 Asked earlier this month by EURACTIV whether he already has reached out to other right-wing forces to form a coalition after the European elections in May, Zahradil, however, did not want to comment “on ongoing talks” and post-election arrangements would have to wait after May. 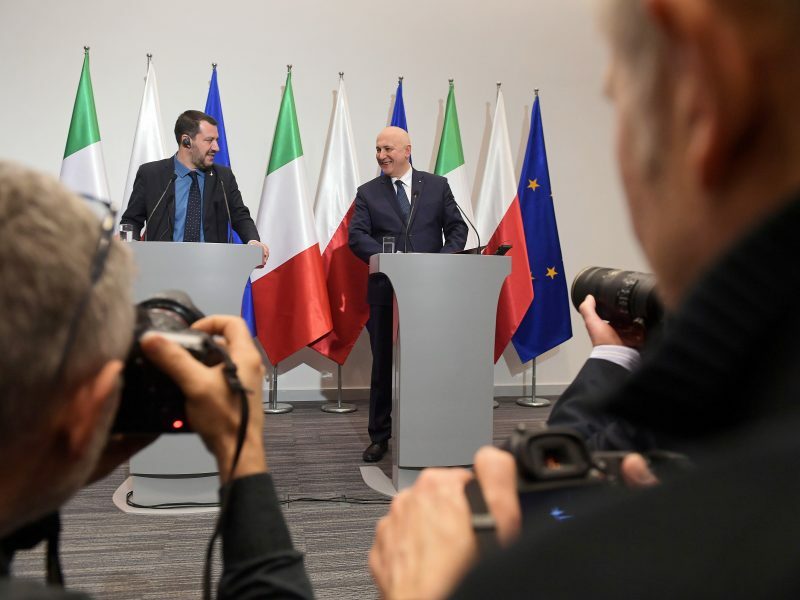 Italy’s far-right Interior Minister Matteo Salvini on Wednesday (9 January) said populists from Italy and Poland should spark a “European spring” to replace the centre-right influence of Germany and France, ahead of key EU elections. During a visit to Warsaw in early January, Italy’s far-right Interior Minister Matteo Salvini said populists from Italy and Poland should spark a “European spring” to replace the centre-right influence of Germany and France. His meeting with Kaczyński has fuelled rumours of a possible alliance between the leading parties in Poland and Italy. 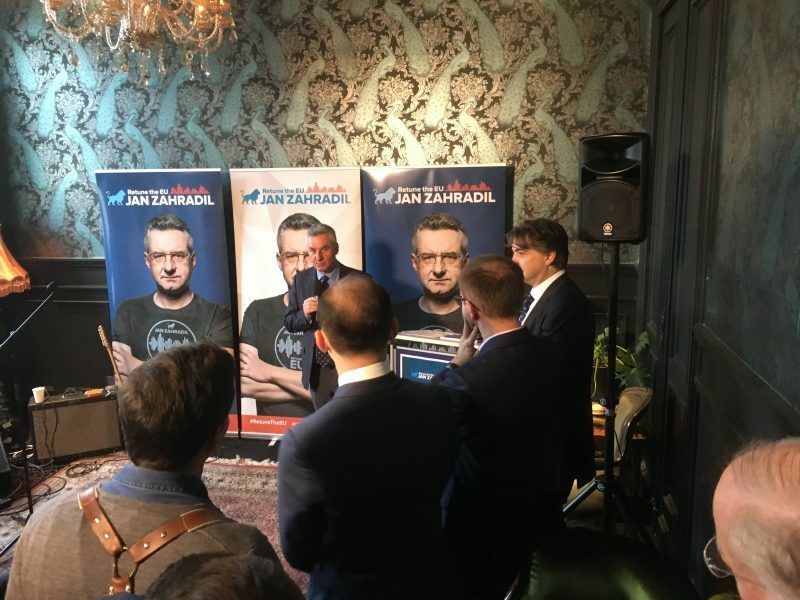 Zahradil told EURACTIV earlier in January he saw that meeting “as an effort to convince Mr Salvini not to play solo but instead to join a well-established, well-positioned and strong group in the European Parliament”. During the debate, he also partly put in question the concept of the Spitzenkandidaten procedure itself as he stated that, if elected, he would only enter the Commission as its president with the endorsement of EU leaders in the European Council. French President Emmanuel Macron is applying a divide and rule strategy against the Visegrád Group, Czech lawmaker Jan Zahradil told EURACTIV.cz. Asked about the reluctance of Eastern European countries towards the acceptance of refugees, Zahradil noted that member states have had no experience with large diasporas coming from foreign countries because they have no colonial past. He criticised Commission President Jean-Claude Juncker’s proposal to install 10,000 more Frontex border guards, saying that this budget should instead be allocated to reinforcing the national capacities of the states directly concerned by migrant arrivals such as Greece, Italy or Spain. Harmonisation of migration policies is not possible as it would also require unified social policies at the EU level, as there would be inequality. Zahradil argued. More wealthy countries like Germany, could and would introduce higher benefits than poorer countries, he said.